I have several things for sale. 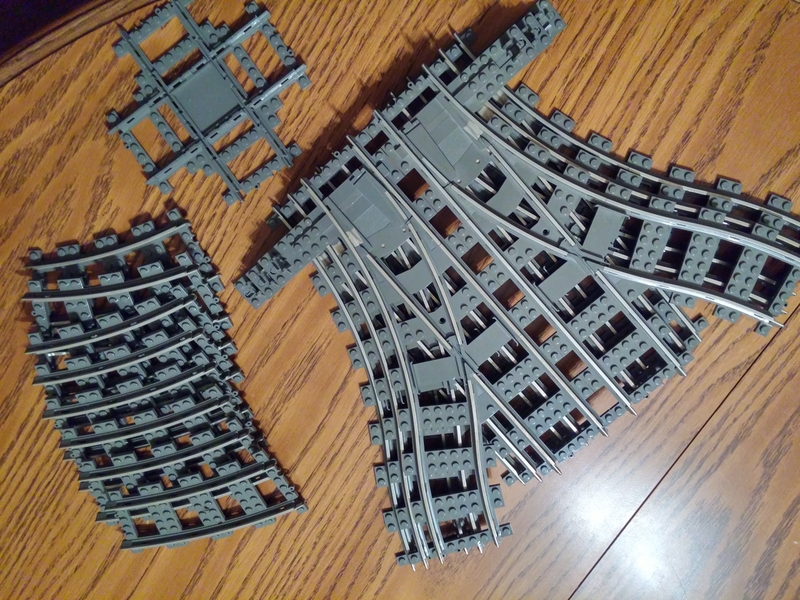 The first are damaged but usable 9V track switches. There are 3 left and 3 right, all have some damage to them most would have the switch posts broken while others have a stress mark or the tie broken off at the connection point. I am also including 6 9V curves that have a bit of warp to them but do work and aren't broken as well as a 9V cross piece that someone stripped the metal off of. I am asking 80.00 for the lot shipped to the lower 48 states. The second items I have are my spare CMF sets, I have series 1 through 9 for sale complete and sealed. All were bought by me at either a Target or the Lego Store here in Denver. I will accept reasonable offers for these but keep in mind the going rates ie. series 1 goes for around $300. 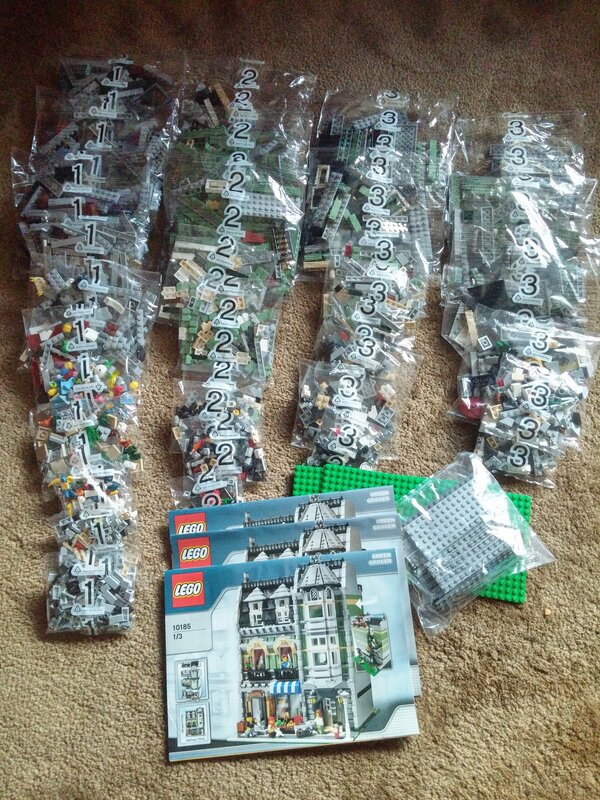 The third items are my spare modulars including #10182, #10185, #10197, #10211 and #10224 with the exception of the Town Hall these are sealed sets with some shelf wear and all were bought new by me at the Lego Store here in Denver. The box for TH is heavily damaged but bags are all there and sealed. I am open to reasonable offers but again keep in mind the going rates, CC is almost 2K on BL and Ebay. My house is smoke free but not cat free please don't respond if cats bother your allergies. I will accept Paypal on most of these but am considering more secure means for CC and GG. For feedback, I have been here for a while but haven't sold anything yet and I am on Ebay with the same screen name and over 600 feedback. You must also have good feedback on Ebay and some screen presence on this forum. 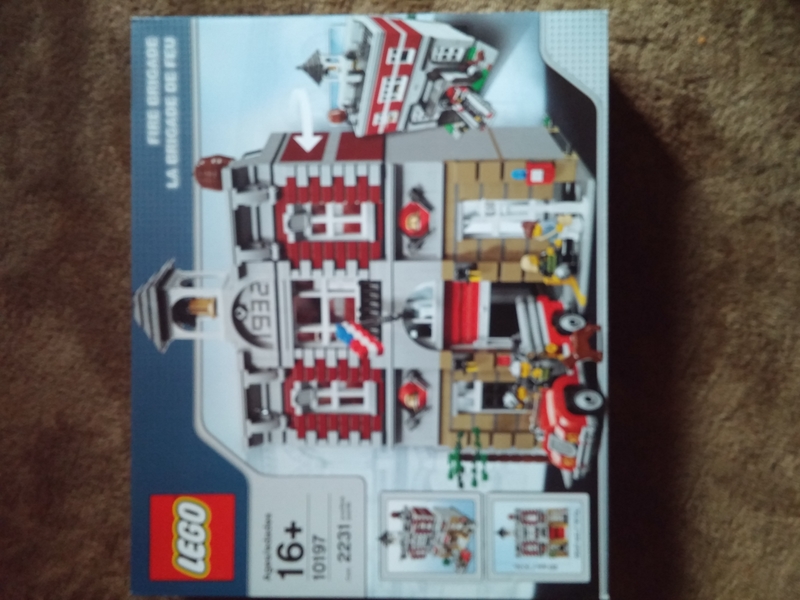 An update to my slow selling of sets. 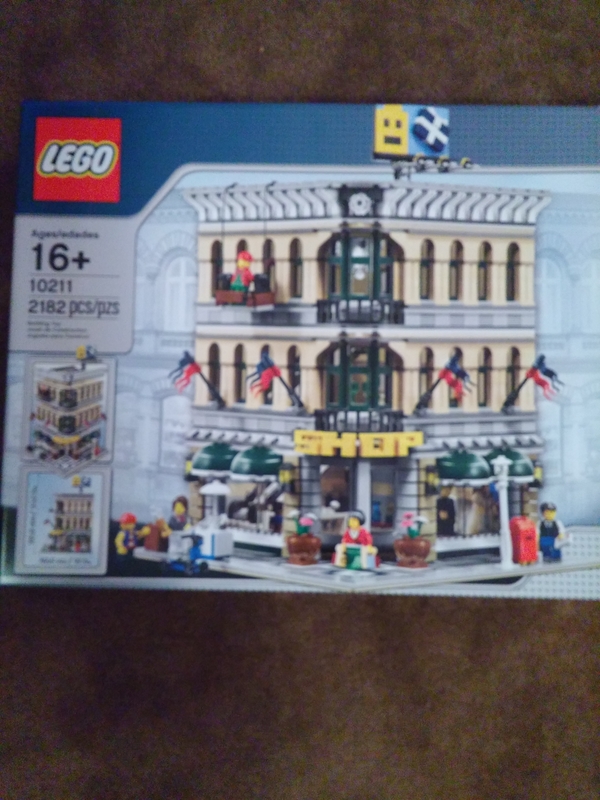 I am finally ready to sell my 10185 Green Grocer. 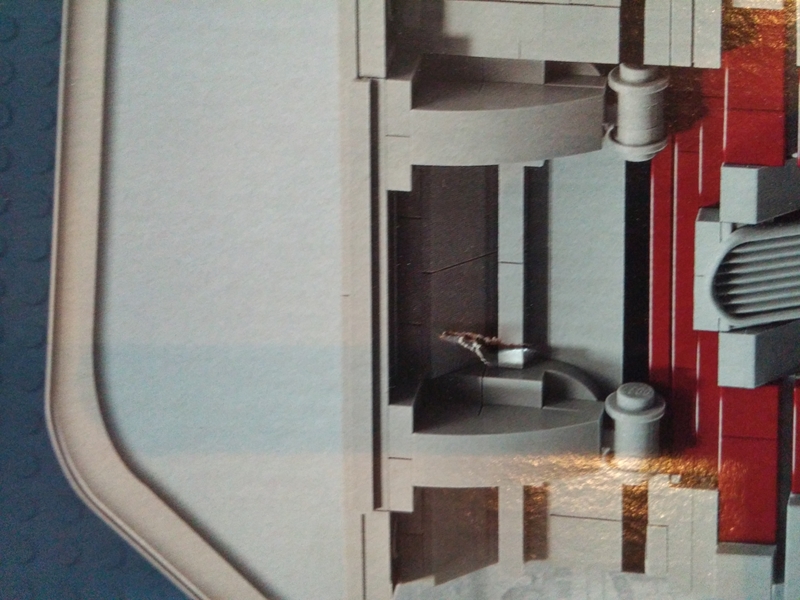 This set has a hole in the middle of the box and an inventory of the bags shows it has 12 #1 bags, 9 #2 bags and 14 #3 bags. 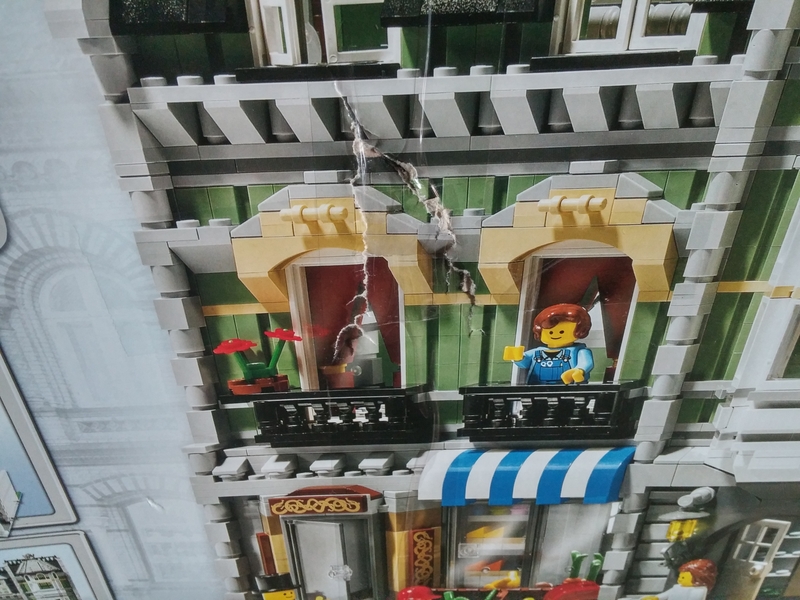 This varies from the inventory on Brickset but I have checked the #1 bags and the parts all seem to be here. I have also checked the quantities of sand green bricks and they seem to be correct. This will be an open box but sealed bag sale and am looking for $900 US shipped in the contiguous U.S.. I am willing to ship overseas but that will be pricey for the buyer. After a week it goes to Ebay so if you are interested reply soon. That doesn't really seem fair, does it? All the states except Alaska and Maine? ^ Alaska and Hawaii. Unless I'm missing something. Yeah, I must have missed something as well. I don't understand @SprinkleOtter , what is not fair? "I am asking 80.00 for the lot shipped to the lower 48 states. " ^ I think you mean geography. How about we avoid completely derailing @oldtodd33's Marketplace posting?